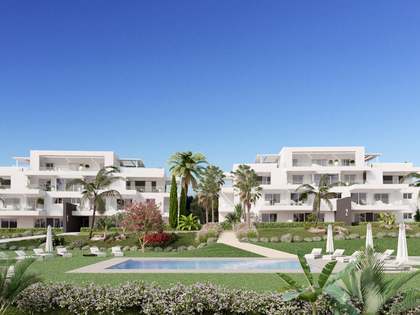 This property is part of the Estepona-TC3 Apartments and Townhouses. 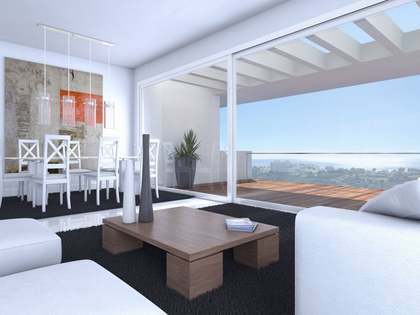 Stunning New Development of spacious apartments, penthouses and generously sized townhouses for sale in Estepona. Beautiful, modern 3-bedroom apartment with a private terrace and garden for sale in a wonderful new development in Estepona. 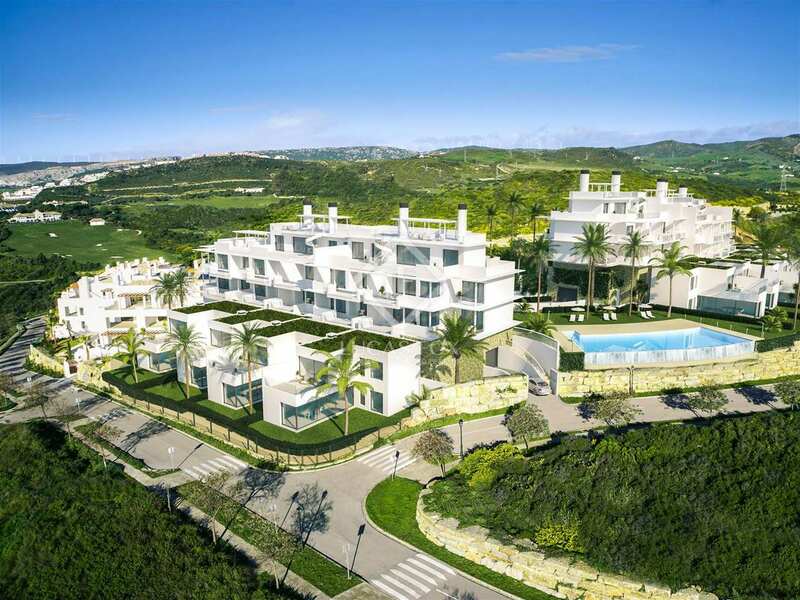 Estepona-TC3 is an exceptional New Development located on one of the most prestigious golf resorts in Spain, in fact it was named The Best Golf Resort in Europe in 2017 by the prestigious Leading Courses portal. The development consists of apartments, penthouses and townhouses all modern with a contemporary architectural design and panoramic sea views. With bright and spacious interiors, this property has a built size of 152 m² with 78 m² of terrace space and a 41 m² garden to make the most of the fantastic climate and long summers. It has a fully equipped kitchen with top-of-the-range appliances, 3 bedrooms and 3 bathrooms. This property will appeal to a range of buyers and suited not only to golf lovers but anyone seeking a modern, high-quality property in a beautiful setting. The development's communal areas are excellent, with an infinity swimming pool complete with water slide and a spa area. Rated with a B energy certificate the properties are highly energy efficient. 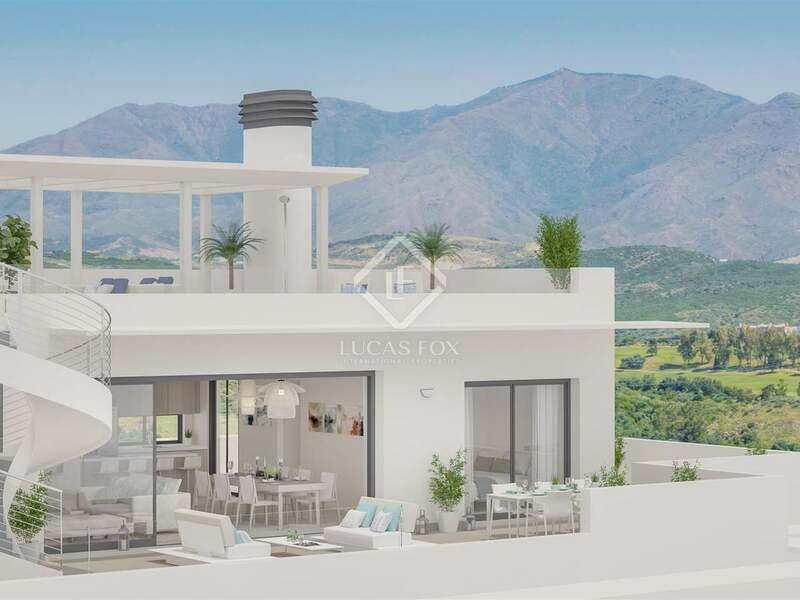 Located just 30 minutes from the Puerto Banus and 10 minutes from the exclusive marina of Sotogrande, Estepona, the development is ideally located in one of the best residential communities in southern Spain. The charming villages of Casares and Estepona are also 10 minutes away.